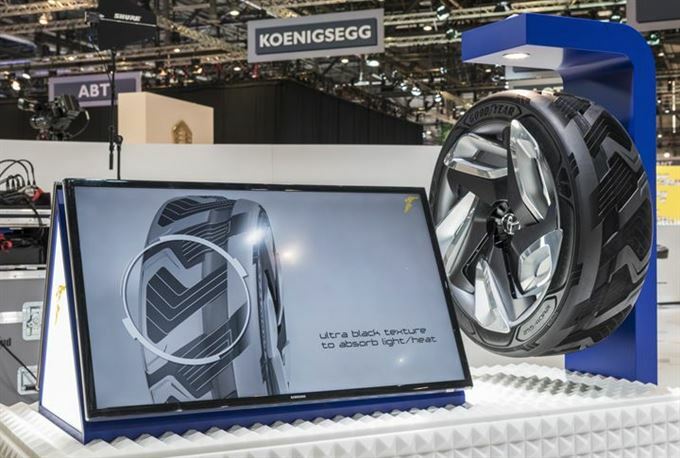 Goodyear has announced to the media that it will make use of the opportunity at the 2015 Geneva International Motor Show, to showcase a futuristic tyre that has the capacity to produce its own electricity. The concept - currently still known by its development code "BH03" - is the brainchild of the company's engineers at its Innovation Centre and works by transforming generated deformation and vibrations into electrical energy. "Concerns about energy and the environment drove us to develop this energy producing concept tyre. Every futuristic idea starts with a societal challenge that we aim to address as we work to build a better future. 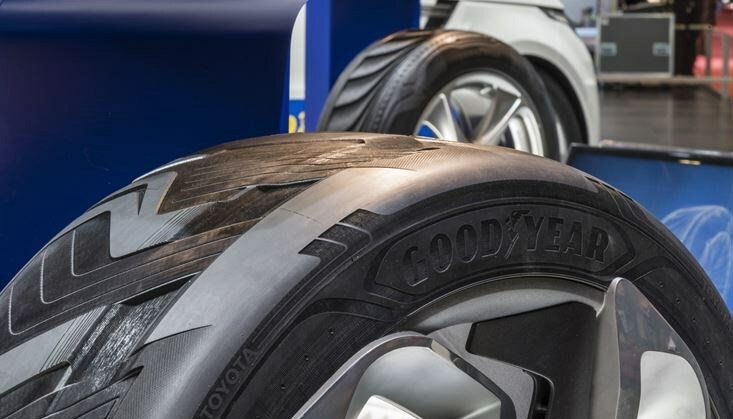 We are highly convinced that this tyre provides inspiration and that its insights will have a place in future development," said Jean-Pierre Jeusette, General Director at the Goodyear Innovation Centre in Luxembourg. These new materials form a 3D network which constitute the inner structure of the tyre. This structure could potentially support the load of a car if the tyre gets punctured, an alternative approach to delivering RunonFlat technology. 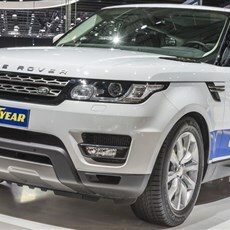 Additionally, it features a large circumferential channel to improve aquaplaning resistance and a unique tread to absorb noise. "This electricity generating concept tyre is further proof of the impressive innovation developed by our designers and scientists from the Goodyear Innovation Centre in Luxembourg, and we are thrilled to showcase it at Geneva," said Jeusette. 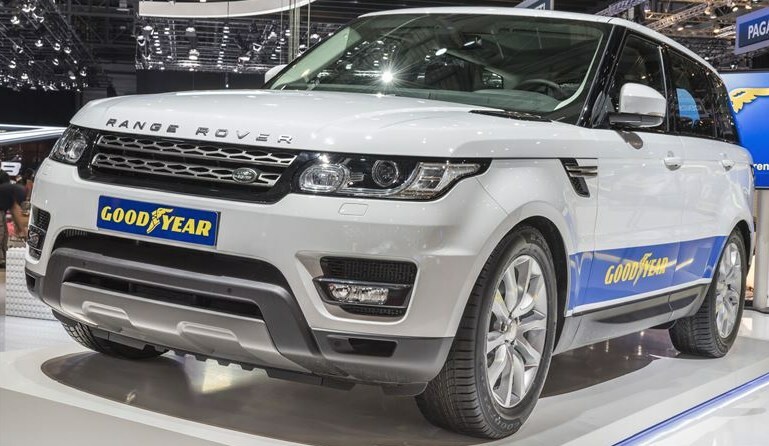 "What is especially impressive about the tyre is that its remarkable technology has been created in a way that furthers Goodyear's constant quest for sustainability, quality and safety." 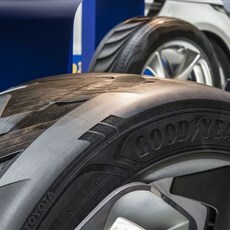 The tyre is a pure concept development and will not be produced by Goodyear. Concept tyres are designed as part of the company's innovation process and are developed to stir debate, discuss possible solutions and enable engineers to think out of the box to deliver smart solutions for a smart future.